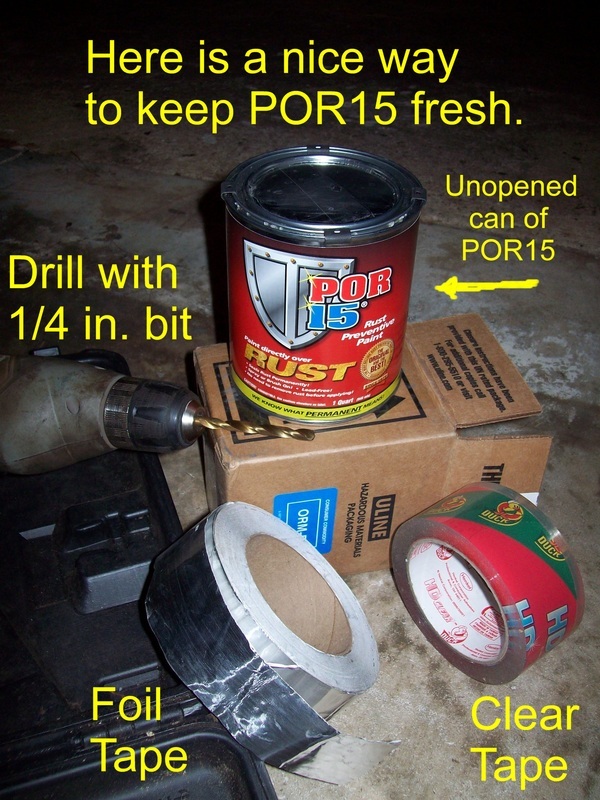 POR15 can be very messy. 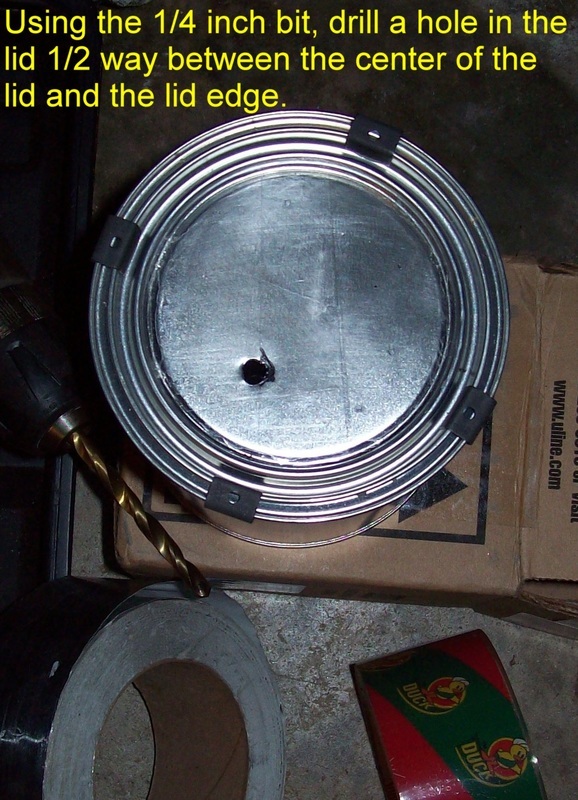 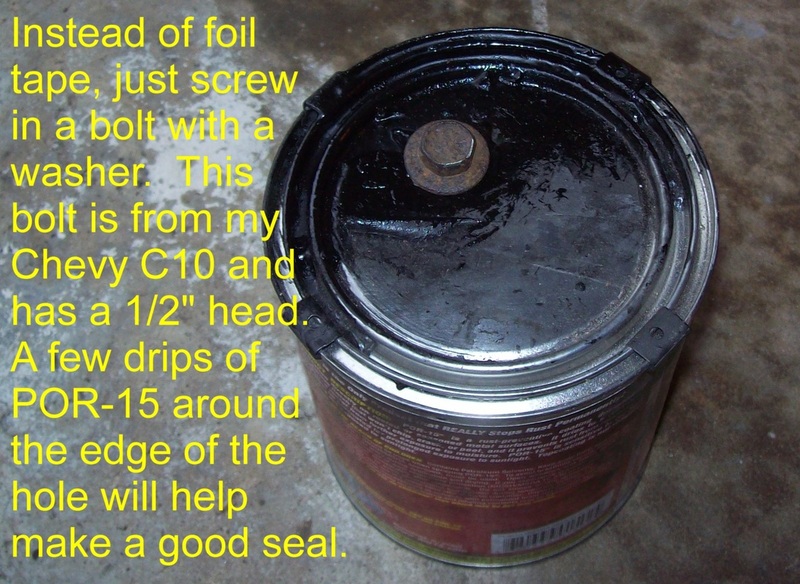 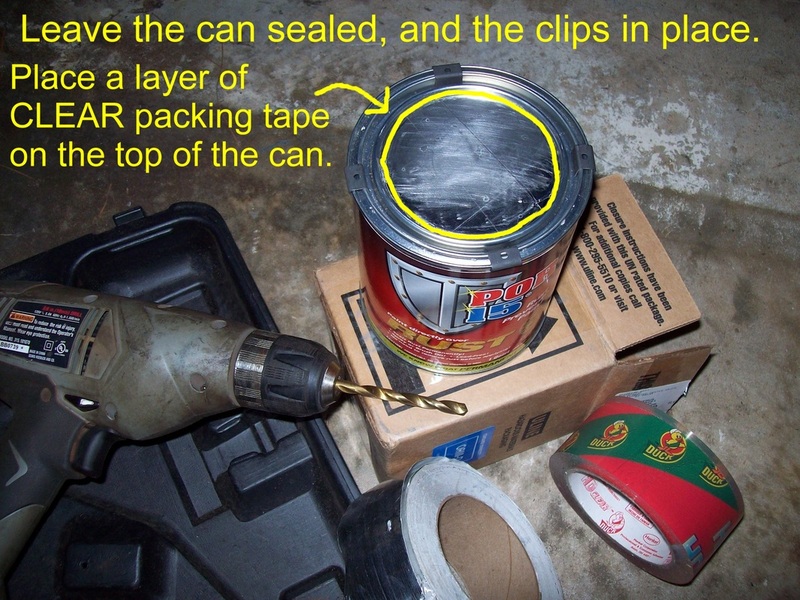 If you open the paint can and any POR15 gets into the rim around the lid, it's almost impossible to get the lid to seal correctly again. 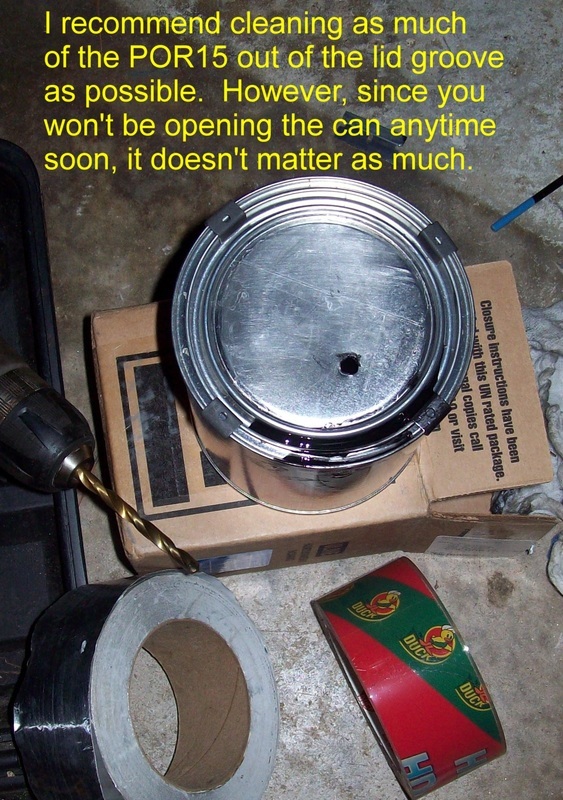 That usually results in air getting into the can and a lot of the paint gets wasted. 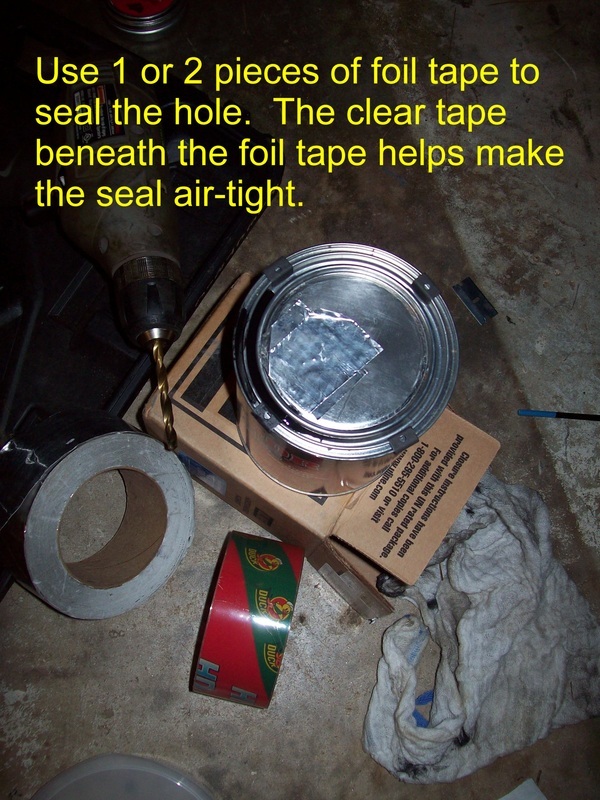 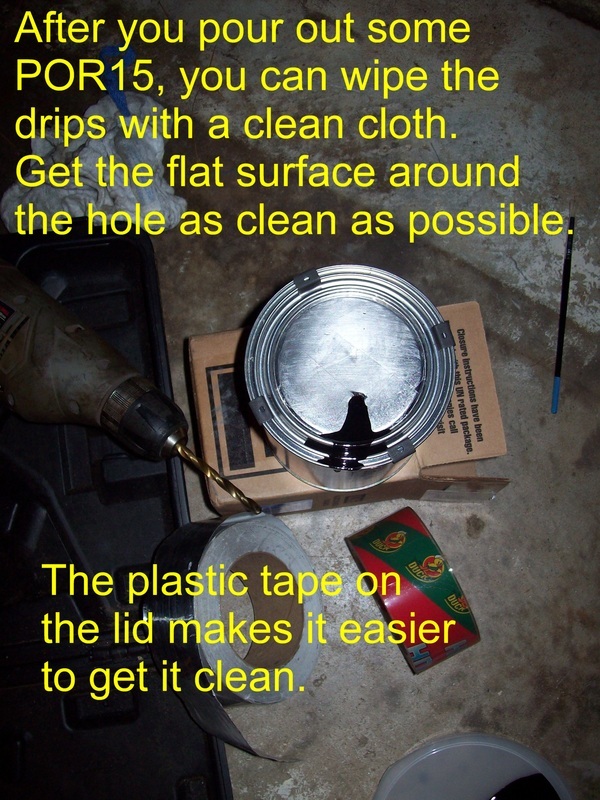 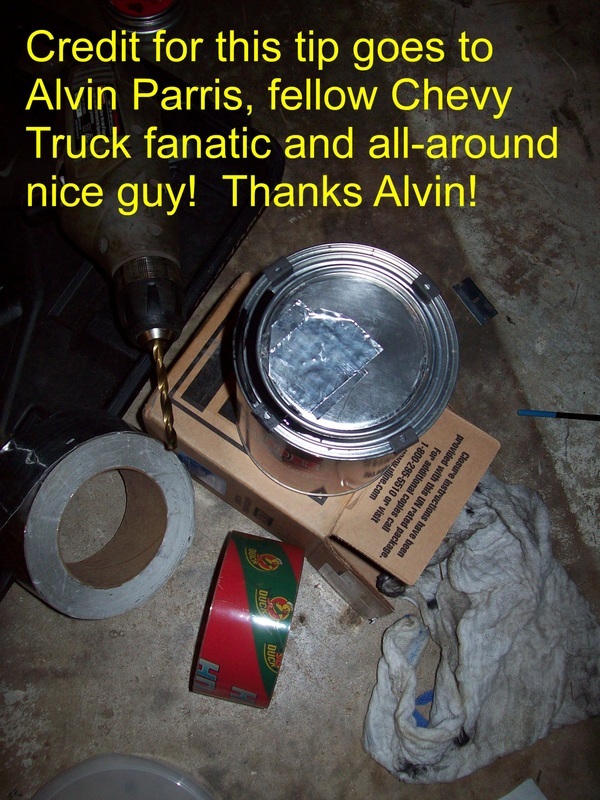 Use this nice idea and that problem is virtually eliminated - BECAUSE YOU NEVER REMOVE THE LID!